Rain chances return this weekend with the best chance on Saturday. 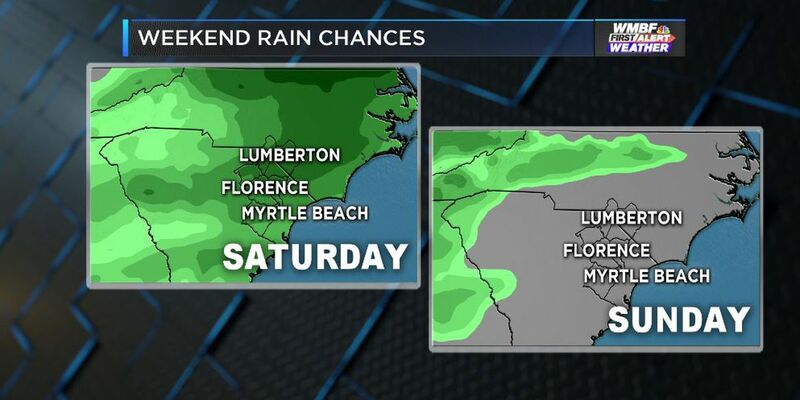 MYRTLE BEACH, SC (WMBF) - After a steady week of mild temperatures and low rain chances, buckle up for fluctuating temperatures and rain chances through the weekend and next week. As far as tonight goes, Valentine’s evening will be perfect for that beach walk sunset, with mostly clear skies and temperatures in the middle 50s. Tomorrow morning starts off cool, but not as cold as the near freezing temperatures we started today with. 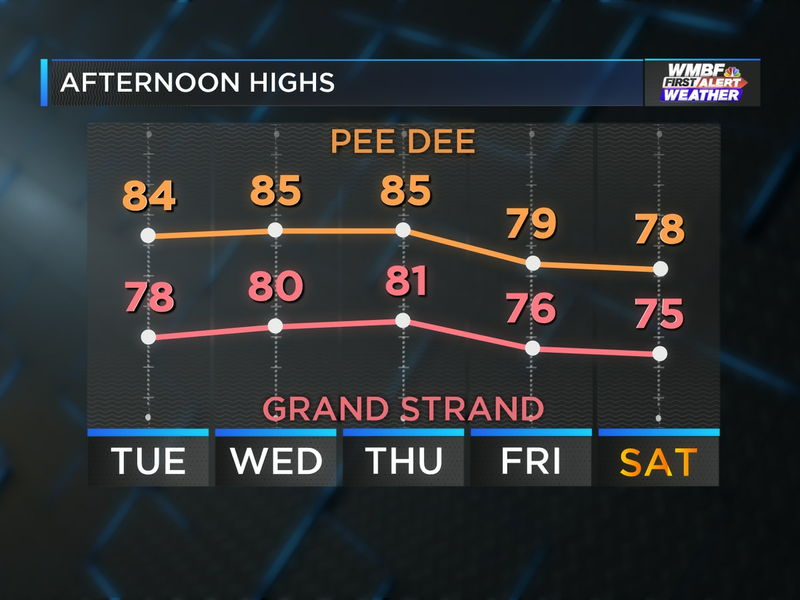 Friday’s morning lows will be in the upper 40s in the Pee Dee to low 50s at the beaches. 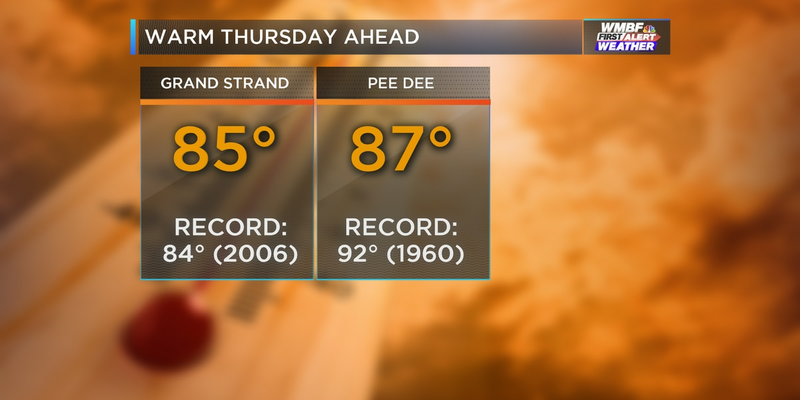 Friday remains dry all day, until the very end after 9PM when rain begins to move into the Pee Dee and Border Belt. 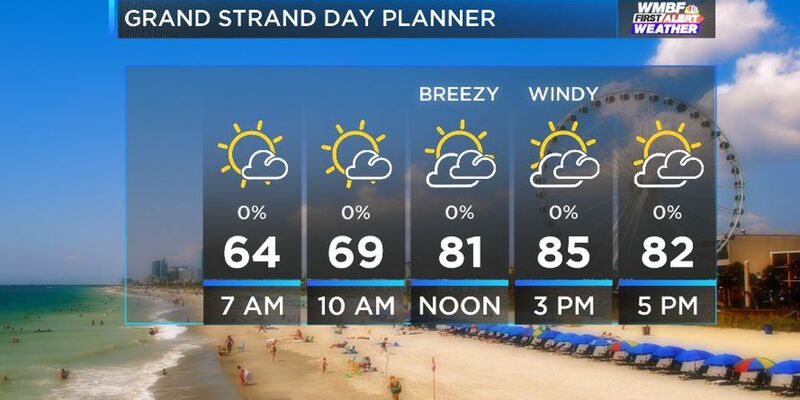 Despite being dry, the clouds gain control of the sky over the course of the day. 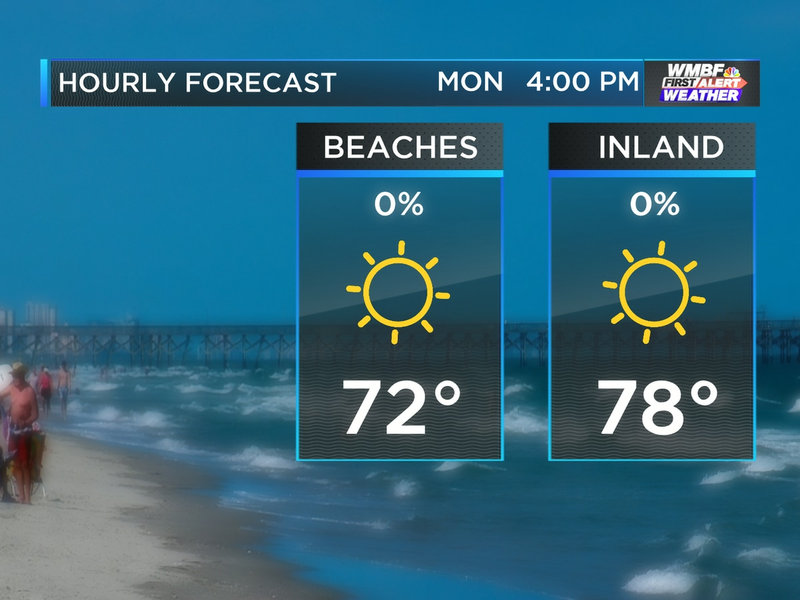 Highs on Friday will be warm, upper 60s along the coast to near 70 inland. The weekend continues to feature rain chances and a tricky temperature forecast as a stationary front wavers back and forth across the area. Saturday will see off and on light rain and drizzle at times along with very mild temperatures in the upper 60s to near 70. 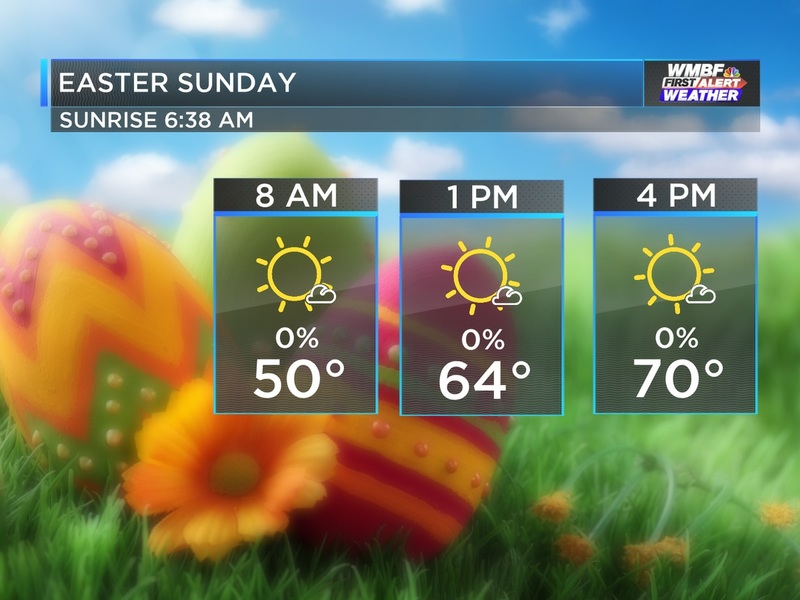 As the front sags southward Saturday night, temperatures will drop into the 50s to near 60 on Sunday with a few more showers or drizzle at times. The front will remain in place through early next week with off and on rain chances continuing. This is part of a much more active weather pattern that will frequent storm systems impacting the Carolinas and more chances of rain through next week. Current trends are highlighting Tuesday as our wettest day of the upcoming week. Near record warmth the next two days.